Slow Food – this group promotes the slowing down of our experience with food, from growing to cooking to eating – a response to the “fast food” movement. Food Democracy Now – organization which focuses on food activism. They distribute lots of great information and opportunities for taking action by signing petitions and sending emails to your representatives. Diet Calculator – Calculate how much different types of foods contribute to global warming through carbon emissions by dragging and dropping food items to a frying pan. Pretty nifty little online application that can help you formulate more sustainable eating practices. 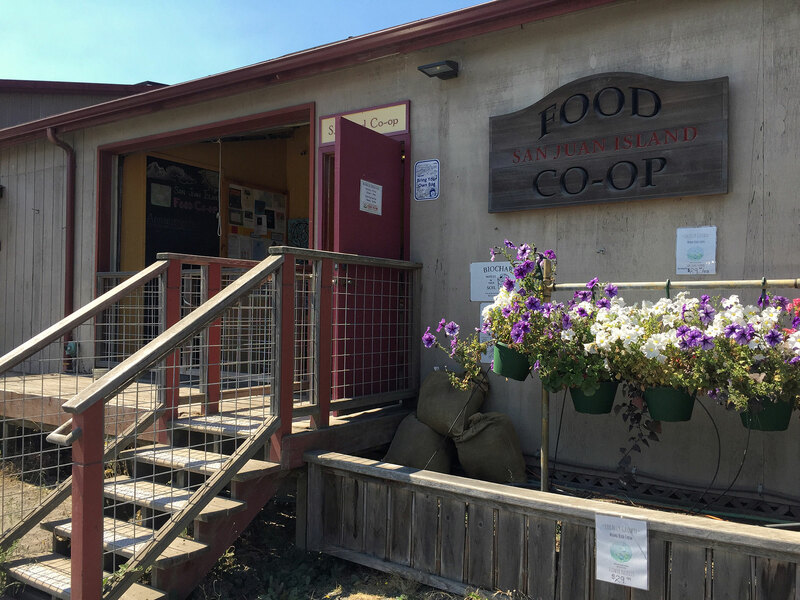 The Washington Sustainable Food & Farming Network – This group’s mission “is to engage with partners to keep farmers farming and ensure that all Washingtonians have access to good food. We advocate bringing food from the ranch and farm to the table in a way that is economically viable, environmentally sustainable and socially equitable.” This group is currently looking for support in order to gain punch in the political arena. This non-gmo shopping guide will help you make healthy shopping choices. The Washington Toxics Coalition is an organization dedicated to educating the public about toxic wastes in the environment, including opportunities for taking action, campaigns and guides to avoid personal pollution. Keep up to date with the GMO Free San Juans movement. With the San Juan Islands in the heart of the Salish Sea we will be at the center of environmental impacts resulting from increased shipping of coal exports – 947 transits of giant bulk carriers are proposed for the Gateway Pacific Terminal. Keep up to date with the proposed coal transfer station, the increased likelihood of an oil spill; the safety of recreational, commercial, and tribal boaters; impacts of increased vessel traffic on orca, fish, birds and other wildlife; the introduction of invasive species in ballast water; and increases in ocean acidification associated with the carbon dioxide emissions from burning fuel and coal. eatWILD provides research-based information about “eating on the wild side.” This means choosing present-day foods that approach the nutritional content of wild plants and game—our original diet. Evidence is growing on an almost daily basis that these wholesome foods give us more of the nutrients we need to fight disease and enjoy optimum health. Food and Water Watch works to ensure the food, water and fish we consume is safe, accessible and sustainably produced.